This story is about my personal experience in dealing with a homeowner insurance claim for a roof replacement. Although virtually every other home in my neighborhood experienced the same damage (from a freak hailstorm), my insurance claim became a long, drawn out affair. While the settlement terms are beside the point, I hope this story will help steel someone for the challenges they might face if they’re dealing with a particularly tough insurance company. Disclaimer: Sorry, but I have to put this up front. I’m a fee-only financial planner. My firm, Westchase Financial Planning, is a registered investment advisory firm in the state of Florida. You can look up my registration document (also known as an ADV) here. I am not a licensed insurance agent, and cannot provide specific advice regarding insurance policies. My clients receive unbiased advice based upon my analysis of their particular situation. However, if I make a recommendation regarding insurance coverage, I must refer that client to a licensed insurance agent in order to implement that recommendation. I receive no fees, commissions, or other compensation for such recommendations. This article is not a substitute for a detailed discussion with an insurance or financial planning professional. Also, since this story was the subject of a lawsuit & settlement process, I am bound by a confidentiality agreement. Out of respect for this agreement, this story will purposefully omit some details, but will also attempt to be informative. In other words, I hope this is useful, but not so useful that it gets me in trouble. We bought our house in the spring of 2014, but due to my schooling & PCS, we were not able to move into it until mid-summer. Unbeknownst to us, there was a hail storm during that time. This hail storm, a documented event, impacted every roof in my neighborhood. However, the damage wasn’t so bad that it was immediately noticeable. Fast forward a year (Summer 2015), and I’m now on the HOA’s modifications committee. This committee oversees requests for exterior home improvements, such as roof replacements. Our roof applications virtually tripled (or quadrupled), seemingly overnight. Our meetings, which usually took about 30 minutes, now ran over an hour or hour and a half. A lot of these applications seemed to come from my neighborhood. After talking to a few of our neighbors, we finally learned about the freak hail storm and decided to have a roofer come look at our property. Homeowner’s Insurance Lesson 1: Stay in tune with events happening in your neighborhood, especially when you’re not in town. Ever leave town for a few weeks (or months) in the summer? It’s amazing how you can miss something, only to have people say, “Oh, you didn’t know? I just assumed everyone knew.” That happened to us. For a while, that really stopped us. In fact, the only company that would even bother to help us was a storm-chaser that ended up being pretty shady and did zero for us. Homeowner’s Insurance Lesson 2: Understand that you might be in for a fight. Don’t let it stop you. As you will see, it took a LONG time, and a lot of uncertainty. But now that we’re on the other side of the battle, it was definitely worth it. Stormchaser Inc. (we’ll call them that) was a company that basically follows storms. Afterwards, they’ll send a team of people through neighborhoods going door to door, offering to do a free inspection and help with the claim. Somehow, they managed to get my wife to sign a piece of paper that seemed like a contract. More on that in a minute. During this time, we filed the claim with the insurance company, just to start the process. This would be February. Homeowner’s Insurance Lesson 3: Familiarize yourself with the insurance process under the law, and know who is responsible for what. The insurance company had assigned this to an external adjuster, who inspected the roof. After his inspection, they arranged for an engineer to come out and look at the roof as well. Under Florida law, the homeowner has the right to be present for all inspections. Furthermore, Stormchaser promised to have a person on site (assuming we made notifications ahead of time). That worked all right for the adjuster’s inspection, although the Stormchaser person did not seem as energetic as originally discussed. However, the engineer completely disregarded the appointment time. He just walked the roof while no one was home, then canceled the appointment. We noticed by seeing the roof marked up (as Stormchaser told us the engineer would do). Stormchaser was supposed to be present during the inspector to keep the engineer honest…doing a drive-by undermined this. When we mentioned this, Stormchaser told us this was a common practice, and that while it’s not legal, it’s pretty difficult to enforce. Homeowner’s Insurance Lesson 4: Knowing the law doesn’t prevent the other side from taking short cuts. Be prepared. After a while, the Stormchaser person originally assigned to ‘help us’ with our claim was reassigned, then her supervisor was reassigned, and well…you get the story. Nothing ever happened. However, compared to some of the horror stories of shoddy repairs in our neighborhood, this wasn’t that bad. Stormchaser just walked away when they saw that the money wasn’t going to come easily. Meanwhile, about a month later, we got an insurance payment…for roof repair. This which was a fraction of the replacement for the entire roof, and they had taken our deductible out of it, which basically cut the payment in half. Under Florida law, if roof damage exceeds 25%, the company must replace it. By default, less than 25% means that a company can pay to repair it. This check clearly indicated the company’s position: This was a repair, not a replacement. This ticked me off pretty well, but there was no recourse directly with the company. They simply referred me to the Florida Homeowner’s Claims Bill of Rights website. Homeowner’s Insurance Lesson 5: Take time to learn your rights. Don’t rely on the insurance company to help you figure it out. This piece of paper basically stated that if we received any proceeds, then we would assign the work to them. My wife signed it, but there was no countersignature, no offer, and no consideration. In other words, NOT A CONTRACT! Let’s be clear here…I am not an attorney. However, there are numerous references that point out that without consideration, there is no contract. Consideration is when each side to a contract agrees to give up something that it has a legal right to, or to assign those rights to another party. For example, a party might exchange $500 for 10 hours of work performed by a CPA. Without each party offering some sort of consideration, it’s hard to see a court of law enforcing this. In a similar manner, if your rich uncle promises to give you $10,000 in writing, that’s great. But it’s not a contract. You can read this NOLO article for more information on consideration’s role in a contract. In essence, my wife had signed a piece of paper saying “Scribble, scribble, scribble,” without any consideration from Stormchaser. Let them come after me…they have no case, and they know it. Homeowner’s Insurance Lesson 6: Although you should beware of entering into ‘contracts,’ don’t be intimidated if you end up painted in a corner. More times than not, you have options if you find professonal help. We originally had wanted to stay away from hiring an adjuster, because of the costs. We had heard that an adjuster would cost 20% of the insurance proceeds. However, we eventually decided that 80% of a settlement was better than 100% of what we got. The insurance company paid us something. Even though they classified it as a repair vice replacement, the fact that we received a check indicated that there was damage. That meant the real challenge would be in figuring out how much the company would settle for, not having to prove the damage. The engineer’s markings proved our case. The adjuster could tell, just by looking at how the engineer marked up the roof, that there was insurable hail damage. The insurance company was betting that we’d take the money and run. The adjuster had worked 20 years for an insurance company, and took the time to point out every trick the insurance company had. However, they had a losing bet, and were hoping that we wouldn’t call their bluff. Homeowner’s Insurance Lesson 7: If the facts are on your side, don’t be afraid to call a bluff. Adjuster’s estimate came back after a couple of weeks. This is now June. My initial reaction was that it was as ridiculously high as the insurance company’s was low. The adjuster’s estimate included replacement of the roof, gutters, fascia, repainting walls, ceilings, and spaces that were unaffected. I believe the total estimate came in at around $45K, even though a new roof usually goes for about $12-$14K in our area. I figured this was just part of the game….the truth is always in the middle. After our conversation, the adjuster referred us to a reputable law firm that he had frequently done business with. It was after a conversation with the law office that everything started to fall into place. Although the adjuster gets 20% of the negotiated proceeds, they don’t get paid unless we do. This time, I looked at the contract (a valid one), and it had clear language. It was consistent with other contracts I’d seen for adjusters. In the state of Florida, the insurance company pays all legal fees. In other words, the insurance company has no incentive to keep this drawn out if a homeowner sues. This arrangement ensures that an insurance company will pay a reasonable settlement if it makes more business sense than going to court. Insurance company files request for discovery documents ( any emails or correspondence on things like emergency repairs or anything else that might have a material impact). Discuss a negotiated number & reach it (hopefully). If not, have fun in court…but remember, if the insurance company has an incentive to keep this out of court, it will. If you’re being unreasonable, they may decide to fight back. Settlement check is made out to homeowner, adjuster, and mortgage company. Check sent to law office. Homeowner sends 20% payment (made out to adjuster) to law office. This is how the adjuster gets paid. Then they sign the check and release it to the homeowner. Homeowner contacts mortgage company to determine their release process. Homeowner receives proceeds (maybe). This depends on how the mortgage company manages their signature release process. More details below. Homeowner’s Insurance Lesson 8: If you get lawyers involved, have a walk-away number established. In advance. Don’t change it. And don’t make it a ridiculous number. Without so many words, lawyer indicated that this was a good case, and that the insurance company had an incentive to pay up to make this go away. While he couldn’t just flatly state that we could take this to court, he did tell me that this would most likely be a business decision that the company makes. Lawyer told me that negotiation would take a couple of months. Eventually, in September, the insurance company offered a settlement that we accepted. Although I can’t divulge details, I’ll say that I’m glad we stuck to our guns. Homeowner’s Insurance Lesson 9: Sometimes, the lawyers are limited in what they can say directly to you. Recognize when you need to take a hint. Then, we had to sign, notarize, and return return the paperwork to the insurance company (via our lawyer). The check took a couple of weeks to go out. However, at this point, we had refinanced, which meant that we needed a new check to reflect the new mortgage company (remember, the check reflects homeowner, adjuster, AND mortgage company). Insurance company insisted on issuing a new settlement contract. Then a new check issued. We’re now in December 2016. Yep…4 months from the time everyone ‘shakes hands’ to the time the company sends the check out. Homeowner’s Insurance Lesson 10: The end is always around the corner, but never quite there. Be prepared for a long process. But wait, there’s more. We sent a check to the law office (made out to the adjuster), then the adjuster released the check to us. It sounded crappy, but then I realized that the we’re paying the adjuster for work he performed 4 months ago. This is how it works. Everyone in my neighborhood went through this process. Although each state differs, a similar safeguard exists everywhere to ensure everyone is properly paid. Homeowner’s Insurance Lesson 11: In a settlement or judgment, you probably have to put up the adjuster’s 20% before you see your proceeds. Prepare accordingly. At this point, the adjuster, law office, and insurance company are completely out of the picture. It’s just us and the mortgage company. The mortgage company has a lien against the insured property. In most states, this process is in place to ensure that mortgage companies can establish some sort of accountability. This avoids the scenario in which a homeowner files a claim, pockets a substantial check, then walks away unscathed while the mortgage company doesn’t know anything for months or years. This happened a lot in 2008, and is a contributing factor to the mortgage crisis. In our case, the mortgage company made it simple. We sent a copy of the adjuster’s report, as well as the check, to the mortgage company. They create a file (for tracking purposes), sign the check over to us, and send it back. The only thing we’re responsible for is to send an inspection report upon roof completion. However, I’ve heard that some mortgage companies hold the funds in escrow, then scrutinize the work, micromanage the disbursement of funds, and send inspectors out to evaluate the job. This was a LONG, arduous process. However, I learned a LOT. Specifically, as a financial planner, I feel as though I can relate more closely to people who are going through a similar experience. Before, I might have leaned a little more on my book knowledge. Now that I’ve gone through the process, I definitely can identify with the emotional roller coaster that people go through. 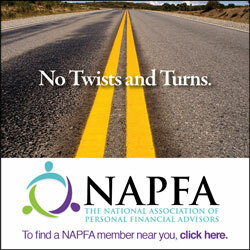 After all, true financial planning is when the knowledge stops and the hand-holding begins. If you’re still having difficulty taking that first step, you should talk with a fee-only financial planner that you know, like, and trust. The post 12 Lessons Learned From My Homeowner’s Insurance Claim appeared first on Military in Transition.